Don’t look back, says the LORD. Look forward. Focus on what is before you, not what is behind you. Let the dead works of the past be dead and buried. You need not revisit the graveyards of the things you regret, the times you did not succeed, the failures of the past. Leave your disappointments behind you, and do not entertain returning to that place of death and mourning. For your past is dead. Let the dead bury the dead as you press onto the new things that are before you, that are alive, vibrant, light and promising, says the LORD. The new is better than the old, and the future is better than the past, but only if you will press on, and forget the former things, says the LORD. Do not let that which was become that which is or will be. For your past cannot define you, restrict you or destroy you. Do not let it dictate and order your steps now. For I will not have you back-track. You need not re-do anything. For I make all things new. New is new, and the materials that are dead and buried are not needing resurrection. I need not use past mistakes to give you future success. LET GO of that which was unproductive and focus on what is before you. For NEW IS NEW, and I will create the New for you, and Make you NEW and give you the new, as you shake off the dust of the past and walk away from the pain and sorrow, and walk in the light of the new day that I have created for you, that is bright and beautiful. Look forward, and keep your eyes on Me, as I lead you into the light of glory, so that you can rejoice in Me and be glad this new day, says the LORD. 34 Responses to Don’t Look Back! AMEN. Each new day is a blessing from God who only wants good things for His children. Hallelujah. Yes Lord is a confirmation. 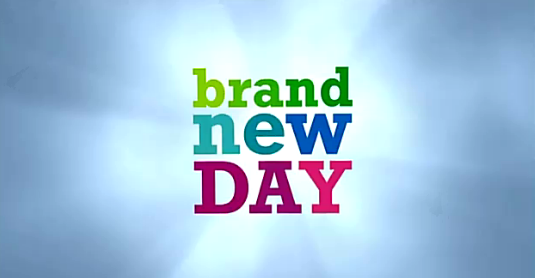 I receive a brand new day !